What is iLawsuit.com? Am I Being Scammed? What is iLawsuit.com and What do They Want From Me? If you’ve seen the recent TV and radio advertisements for services such as iLawsuit.com and are confused about who is behind these advertisements, then you’ve come to the right place for information. What does this all mean? 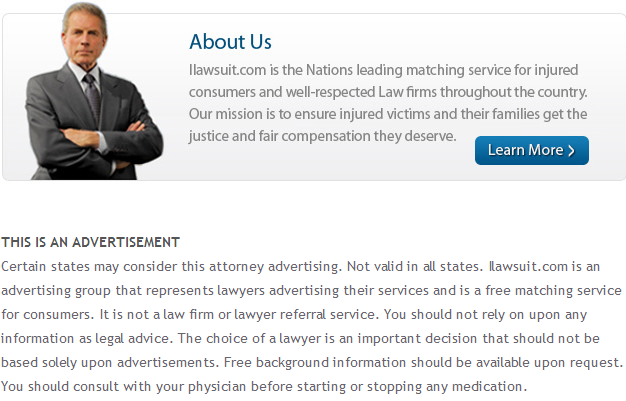 It means that the advertiser is not affiliated with any individual personal injury lawyer or law firm. They're just collecting information they will later sell to attorneys who will scan your various injuries like casseroles at a potluck. Once an attorney or law firm receives the accident victim’s contact information from iLawsuit.com, the attorney will attempt to contact the victim in hopes of being hired to represent them in a claim. One of the biggest problems with websites and companies such as iLawsuit.com is the fact that accident victims do not have any say in which attorney or law firm they are referred to. Once a person fills out the contact form on the iLawsuit.com website, the company decides which attorney or law firm to send the person’s contact information to. The victim will be told to wait to be contacted by a lawyer, but rarely will the victim know the lawyer’s name or be able to look at previous client reviews. If you haven’t figured it out already, this undoubtedly presents an enormous risk to the accident victim; not only is the identity of the lawyer or law firm entirely unclear to the accident victim, but the victim has no way of confirming whether or not the attorney is qualified to practice in that area of the law or whether previous clients have been satisfied with the lawyer’s work. The fact of the matter is that iLawsuit is not the only company or organization utilizing this sort of confusing legal marketing strategy. There are many similar websites and organizations which attempt to trick consumers into contacting them about an accident, simply to be sold off as a “lead” to an attorney or law firm without the victim’s direct consent. When a person is injured in an auto accident, we believe that it is extremely important for the victim to determine whether hiring an attorney is the best decision for them and their family. Furthermore, we believe it is very important for accident victims to research and evaluate any attorney who they may consider speaking with about their case. Utilizing third-party websites – such as Avvo.com, Lawyers.com, Yelp, Citysearch, and Google – to research lawyers and read through reviews from their previous clients and colleagues is a great way to get unbiased information about an attorney or law firm. These websites often also contain information about an attorney’s disciplinary history and how long that particular attorney has been practicing law. If you or a loved one has been injured in an accident and are unsure about your legal options or what to do next, you may schedule a free consultation with our office to discuss your legal rights. Fill out the contact form on this page or call us today at 206-727-4000.